A creative exchange with artists such as the painter Guido Cadorin or the ceramicist and sculptor Hans Stoltenberg-Lerche brought the second generation Toso Brothers to the forefront of Murano glass manufactories at the beginning of the twentieth century. After the Second World War Ermanno Toso and Pollio Perelda were among the most famous designers and continued the production of lavish series in glass, complemented from the 1950s onwards with high-quality one-offs executed mainly in the celebrated millefiori technique. This decoration consists of a multitude of tiny coloured discs, known as murrini, which are produced by melting, cooling and cutting bundled canes of glass to form a cross-section pattern. Together with Caterina Toso, renowned Murano expert Marc Heiremans looks back on and reviews the complex history of the famous glass manufactory. 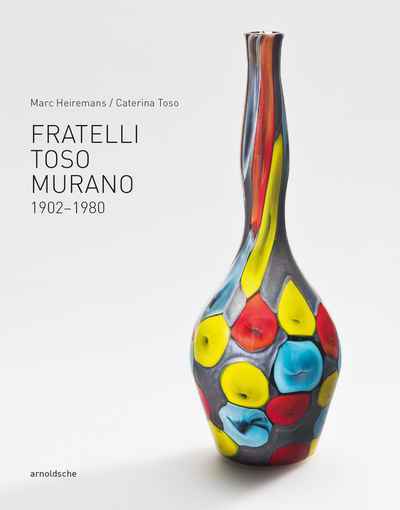 Well-informed texts, hitherto unpublished sketches and archive photos make Fratelli Toso Murano an essential reference work for all connoisseurs of glass.